Alder GSE partners with local and national organizations committed to making the world a more just place. Specifically we collaborate with organizations engaged in work related to teacher preparation, K–12 education, and higher education in order to expand access to the teaching profession.  The Gladys L. Benerd School of Education at the University of Pacific (Pacific) is proud to partner with Alder’s teacher residency program. Since 2010 (while Alder is pursuing accreditation) California residents who complete the academic requirements of the program have received a Master of Arts in Education from Pacific with a concentration in Teaching or Special Education. Located in Stockton, Pacific has been chartered since 1851 and is the oldest chartered university in California. Pacific is accredited by WSCUC. Alder Graduate School of Education is a proud member of the AmeriCorps national service network. Breakthrough operates summer and school-year programming to partner with students from under-resourced communities on their paths to college, and offers a challenging teaching residency for college undergraduates under the guidance of professional teachers. Together, we are helping to reverse educational inequities. Breakthrough has been improving educational outcomes since 1978, with the establishment of a single site at University High School in San Francisco. Over the years, Breakthrough has grown to a collective of independent sites across the country. Today, the Breakthrough national office located in Oakland, CA serves Breakthrough constituencies across a collaborative network of 24 affiliates throughout the U.S. and one in Hong Kong by providing program standards, curricula, evaluation tools, and teaching fellow recruitment. Breakthrough affiliates carry out direct services to students, teaching fellows, and instructional coaches in their localities. City Year is an education-focused nonprofit organization that unites young people of all backgrounds for a year of full-time service to keep students in school and on track to graduation. At City Year’s 28 sites across the United States and 2 international affiliates, teams of 17-24 year old AmeriCorps members serve full-time in schools for 10 months as tutors, mentors, and role models. By focusing on attendance, behavior, and course performance, City Year AmeriCorps members are uniquely able to help students and schools succeed. City Year and Alder Graduate School of Education are proud to partner so that City Year alumni can continue to make a difference in classrooms and in the lives of students. This partnership reflects the shared visions and values of both organizations, and the belief that young people can keep students on track to graduate from high school and pursue post-secondary education. Educators Rising is a national network of students and teacher leaders who are inspired and excited by the teaching profession. Starting with high school students, we provide passionate young people with authentic opportunities to experience teaching, sustain their interest in the profession, and help them cultivate the skills they need to be successful educators. In high school, Educators Rising supports curricular programs where students explore the teaching profession and gain hands-on teaching experience. In college, Educators Rising supports campus-based student groups that promote the development of aspiring teachers. The EnCorps STEM Teachers Fellowship recruits, selects, develops, and supports the best and brightest STEM professionals and military veterans as an innovative, long-term solution to the shortage of high-quality, impactful educators for under-resourced students in high-needs schools. STEM professionals, when thoroughly prepared, are uniquely positioned to meaningfully utilize their talent and real-world expertise as EnCorps STEM Teachers to deliver an authentic, rigorous, and relevant STEM education to the students who need it most. The National Center for Teacher Residencies is a not-for-profit organization that serves a growing national network of high performing residency programs. Founded in 2007, NCTR is the only organization in the nation dedicated to developing, launching and supporting the impact of residency programs. NCTR partners with school districts, charter management organizations, institutions of higher education, not-for-profits, and states to develop and support teacher residency programs as quality pipelines of effective and diverse new teachers. 100Kin10 unites the nation’s top academic institutions, nonprofits, foundations, companies, and government agencies in order to train and retain 100,000 excellent science, technology, engineering, and math (STEM) teachers so that we can educate the next generation of innovators and problem solvers.